Please introduce yourself and your label? Ceci, the romantic urban nomad who wanders the city. 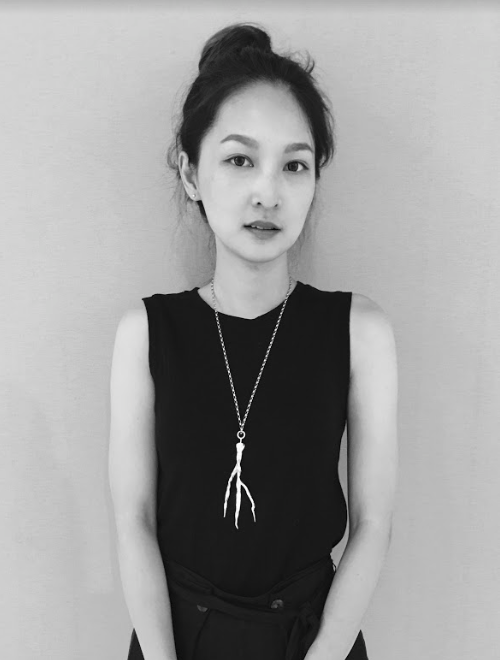 Apparel and jewellery designer Cecilia Chang‘s namesake brand was founded in New York City 2014. The label is known for its loose-fitting and clean silhouette aesthetic. Cecilia Chang epitomises simplicity and assertiveness. The brand focuses on the women who navigate between streets and avenues, passion and reason. Adept at combining clean, decisive lines, balancing unevenly draped fabrics to create refined contours, and sculpting a playful cosmopolitan style. About the designer, Cecilia Chang is influenced by the unconstrained atmosphere of New York City during her studies at Parsons The New School for Design. Chang believes that clothing should be true to ones self and be without restraints. As an environmentalist, Chang appreciates the beauty in all things. She is committed to protect the environment and the animals that inhabit it. All Ceci products opt for synthetic ethically produced leathers, and uses only materials that are non-toxic or harmful. Cecilia Chang‘s is Chang’s interpretation of subtle, but confident attitude with spontaneous grace through the vibe that her costume emanates. How does the bustling city of New York influence your work? CECI was from the beginning highly inspired by the urban city life. During my life in New York, I fell in love with the never ending energy that New York gives you. Every day in the city is different than the day before, and this is a way of life that I had to adapt to in the beginning. I learnt how to enjoy the fullest. If you look closely, every little detail can be inspiring in a city. For me, New York City is the fundament of the CECI atmosphere I want to create. Women need to adapt to many different moments in New York. They rush from A to Z and I want to give them the freedom they need to live their life. Freedom and no constraints to enjoy every day. I believe that this is greatest knowledge that I learnt from New York. Can you tell us a bit more about the inspiration behind the cut and draping? The greatest inspiration for the draping that occurs every season is the freedom of movement. To me, it is important that the wearer can feel lazy in the garments but still look elegant and well dressed. That is the reason, CECI focuses highly on the draping of body movements. Each garment of our collections shall give the wearer a feeling of easiness. When you take a closer look at the garments, we achieve that feeling by emphasizing the construction. Constructing the garment is also strongly influenced by the fabrics that we use and its adaptability in draping. The connection between fabric choice and freedom of movement is always a core value in choosing fabrics. Our cut is never too close to the body, we want to create a relationship from the wearer and the garment. Thus, I would describe our cut as a loose fit yet draped to the body shape. What or who inspires your collections? I believe that with every collection, the design team and me focus on a feeling. We collect mood pieces in terms of pictures, poems and ideas. From that, I create a story that I want to tell with the new collection. For AW17, I focused on the tribe of the Tuareg people. This tribe does not believe in the concept of home and recalls themselves as a tribe of nomads. They beautifully shape the garments around their body and use the technique of drapings whilst wandering in the Saharan desert. Every season, I want to convey a story of an urban nomad. A woman that has no constraints in her beliefs and her way of living. Thus, a particular mood or feeling helps to shape the story of my collections season by season. If you could choose a theme for the Met Gala, what would it be? For the Met Gala, I wish that one theme could be your own inspiration of an urban nomad. I believe that every person is a nomad in one way, everyone is digitally moving to other parts of the world, travel and live their life with several cultures intertwined. It would be great if the inspiration of the daily life, could show a greater diversity of the lives of the real colours of a city. Can you tell us about any exciting plans for the next season? For the next season SS18, we are planning to create another CECI spirited collection. The story and the garments will reflect the laziness of the brand once again. 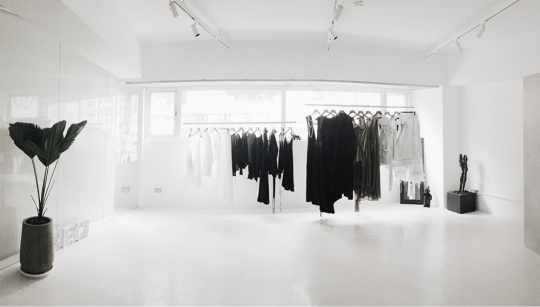 As for AW17, we were having fashion shows in NYC and London, we are again looking forward to have a presentations in Europe and the U.S. Where and when exactly is to be announced soon. CECI also wants to bring closer the freedom of movement to the audience in another way. We want to tell the story of CECI, and thus interesting art collaborations are on their way for SS18.